Back in my day we knew Christmas was coming because the thick woollen shorts we wore through the winter term, yes shorts despite going to school in the wettest, darkest, coldest (well it felt like it in those shorts) part of England, began to rub the skin off your thighs because your legs were so cold. Christmas meant it would be warm in 3 months and you’d soon feel your toes again. 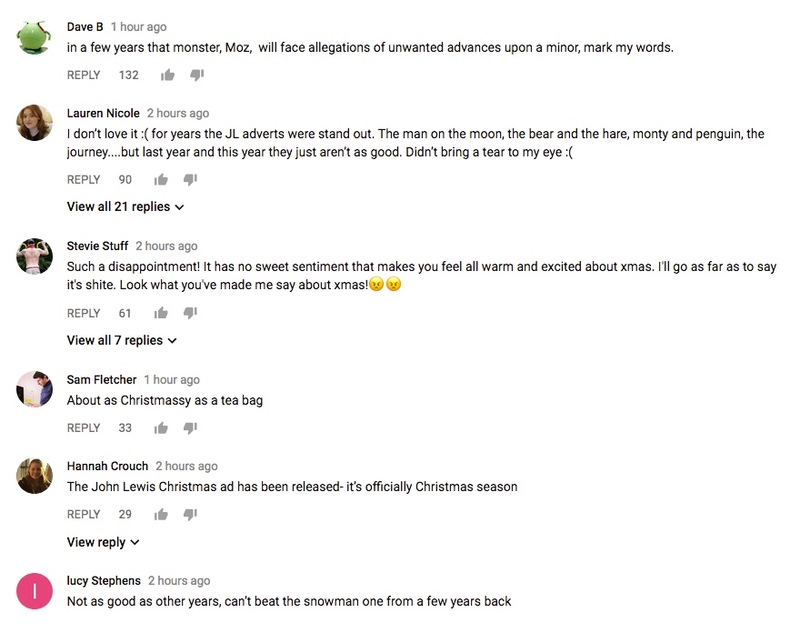 Nowadays they say you know Christmas is coming when the John Lewis TV ad is released. And this year, just like previous years it was eagerly awaited and came out today. You can watch it in all its glory here. Personally, I don’t think it is as good as previous years, with 2016 being the standout year for me. The 120 second TV commercial will premiere on Channel 4 and Sky tonight, 10th November. It cost about £1 million to shoot which is the same as the M&S ad and John Lewis will also spend another £6 million to cover media. I haven’t seen any other Christmas ads except this one and the M&S ad. My money is on the M&S ad being more popular.